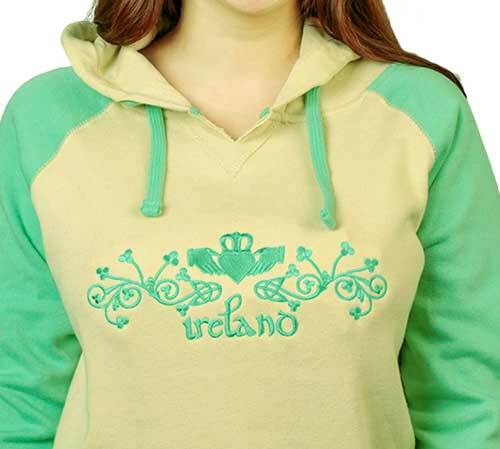 Irish clothing for women include feminine sweatshirts and t-shirts with some junior sizes included. 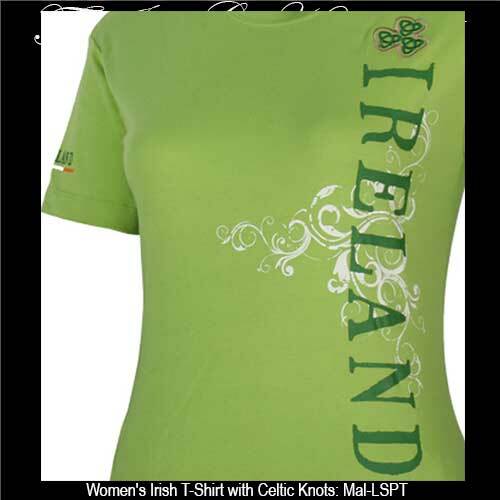 In fashion a woman may wear any clothing she desires, but most of our ladies' Irish t-shirts at The Irish Gift House feature scoop neck collars or V neck collars that are preferred by many women. 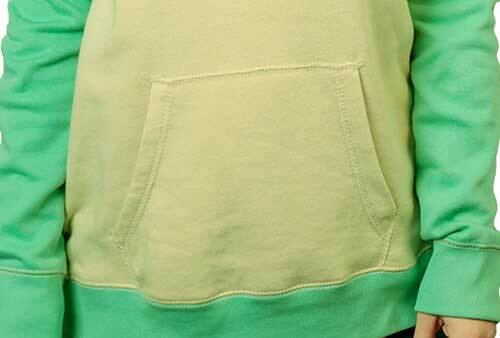 This category also includes Irish sweatshirts for women that we offer as hoodies and also as crew neck styles. Irish polo shirt is a women's cut that features embroidered Celtic Trinity knots along with a spring green color. Guinness t-shirt is a forest green design for junior size ladies; it is enhanced with a shamrock. Irish Gatsby cap is a green plaid design that features a snap brim. 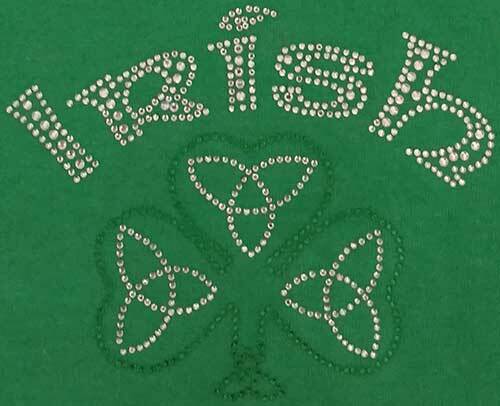 Irish shirt is a women's camisole design that is enhanced with the Claddagh along with shamrocks. Complement these selections with additional choices that include the shamrock bandanas and the Irish scarves. The Irish Gift House also offers shamrock socks and Irish slippers that are appealing to the ladies. You may also expand your search by viewing the unisex designs in the Irish t-shirt section along with the Irish sweatshirt assortment were we offer both hoodie and crew neck designs.